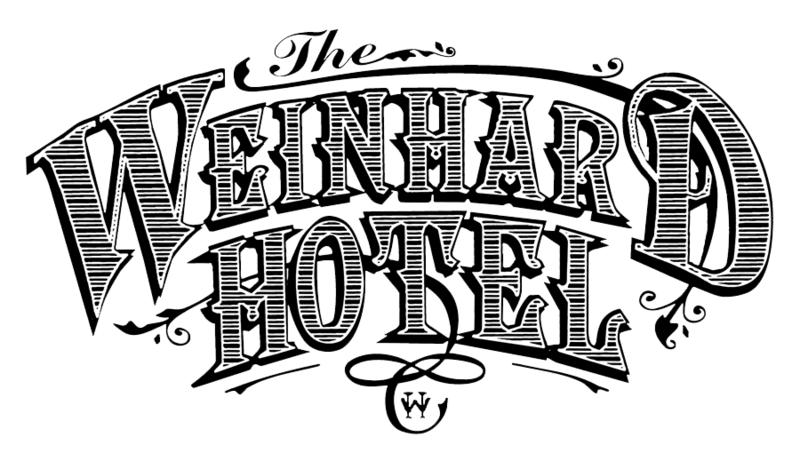 Step back in time to the elegant Victorian era by visiting the Weinhard Hotel, nestled in the heart of historic Dayton, Washington, at the base of the beautiful Blue Mountains. In the lobby you will discover cozy seating nooks, the reservation desk, a grand piano and the great staircase all in keeping with the 1890s building. Relax in one of our 15 spacious guest rooms, furnished with an exquisite collection of Victorian-American antiques dating from 1830-1890. All rooms are elegantly appointed with modern conveniences, while great care has been taken to ensure that the original character of the building is preserved. The original grace, the high ceilings, heavy doors and Victorian moldings still remain. Experience the comfort of our hospitality and see why the Weinhard is not just a hotel, but a destination. "Our stay in your hotel has been most delightful. We haven't been anywhere better - so many wonderful details." "I just wanted to tell you thank you so much for your kind hospitality on Friday. You truly made everything elegant and comfortable! Bless you." "We thoroughly enjoyed our night at the Weinhard and will recommend it. I look forward to another trip to Waitsburg, possible in the spring, and we will definitely make reservations." "My wife and I decided to spend our anniversary at your hotel while we visited my dad over the weekend. We stayed in Room 10; it was amazing. You have done a remarkable job restoring this hotel. This was the first time I have been in your hotel. You should be glad of what you have accomplished. Thanks for a great stay." "This place is gorgeous and really does have a feeling of taking you back in time. I will be back someday." "Thank-you again, so much, for making our wedding a truly perfect event. We still can't believe how wonderful of a day it was... We will no doubt return for many years to come." "We had a wonderful time at the Hotel last Saturday; the party came together wonderfully. Everyone there said what a beautiful place we had chosen, and many plan to stay with you again." "Just a note to say "a big thank you" for your kindness and hospitality during my recent stay at the Weinhard Hotel...Thanks again for your hospitality!" "Weinhard Gang, I wanted to just drop a note of thanks for your constant kindness toward myself and the entire RES company "clan." The Weinhard is definitely our favorite "home away from home." "It was a unique opportunity to visit with the other guests. We could not have asked for a more relaxing, enjoyable weekend. Many thanks to you and your staff."